Planning a new quilt is great fun, but the task can be overwhelming for beginners and veteran quilters who are short on time. Learn how quilt kits organize projects for you, letting you sew confidently with fabrics that are guaranteed to coordinate. 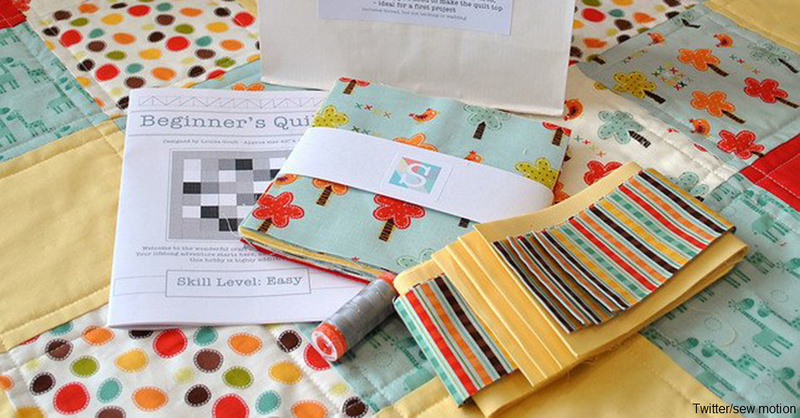 Quilt kits are available in two styles, both of which provide all the fabric you need for the quilt top. The first style provides you with large pieces of fabric that you cut into smaller pieces by following the instructions. Kit companies choose fabrics that work well together, often assembling selections from a particular fabric line to ensure the finished quilt has just the right balance. For beginners who haven’t built a fabric stash, these kits offer a cost-effective way to obtain many fabrics in multiple colors and patterns. Many kits include more fabric than you need, which helps you build a collection of scraps for future projects, notes Craftsy. The second kit style includes die-cut pieces that are ready for stitching without any further cutting, including small applique pieces. Die-cut kits save time and let you start stitching as soon as you open the package. Even veteran quilters sometimes make a cutting mistake, but these kits eliminate that possibility, saving you money on replacement fabric. These kits are also helpful for quilters who struggle with cutting because they have weak hands or wrists, notes Rob Germundson of Sew Ready Creations. While quilting beginners benefit from the coordination a kit offers, longtime quilters also enjoy the ease of a kit because they can start a project right away and finish it quickly, a definite bonus when the quilt is a time-sensitive gift. Quilt kits usually come with a pattern, and some offer a video with extra instructions, so you can watch the tutorials at your own pace. Use kits to improve your skills, and learn other helpful quilting techniques with these tips from experienced stitchers.